This event was similar to a fairy tale for this 25-year-old domestic cricketer which changed his life instantly. 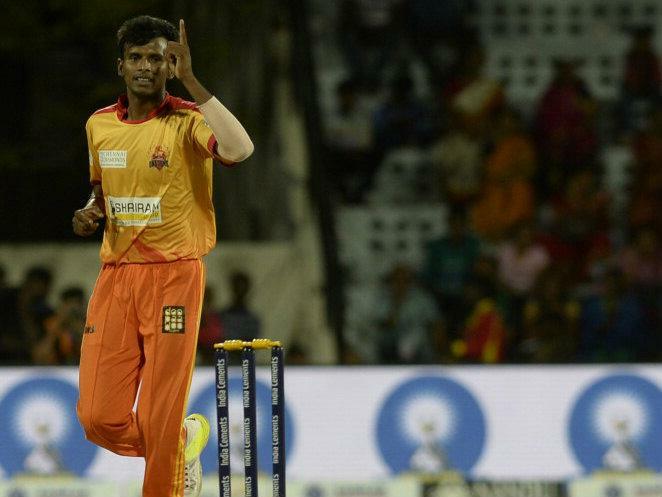 Before yesterday, he was just an ordinary left-arm medium pacer who had represented Tamil Nadu in the Ranji Trophy and had played with Dindigul Dragons in the inaugural match of Tamil Nadu Premier League (TNPL). But on February 20, while the Indian Premier League auction was underway, he was no more ordinary. The moment when auctioneer Richard Medley knocked the hammer down and uttered, “T Natarajan sold!” It made him a millionaire overnight. Son of a father who worked as a porter at a railway station and a mother who ran a street side stall, Thangarasu Natarajan was bought by the Kings XI Punjab for Rs 3 crores in IPL 2017 auction. It was something like unbelievable for this 25-year-old domestic cricketer which changed his life instantly. His base price was fixed at Rs 10 lakhs but within a duration of few minutes, the amount jumped vigorously above 100 million bars with Virender Sehwag continuously raising the pedal for Kings XI Punjab. Natarajan’s journey to be a millionaire took him 5 long years of struggle and his fight against the odds within limited resources. Hailing from a family of 7 members, it was not easy for him to get all the appropriate cricketing gears in the initial days. He started playing with the tennis ball and by the time he turned 20, he was playing his trade at tennis ball games in his native Salem. Later he moved to Jolly Rovers cricket club in Chennai. It was a club which has carved many big names like R Ashwin and Murali Vijay. Eventually, he was picked up by the Dindigul Dragons for the inaugural season of the TNPL and finally, a launchpad was created for him to exhibit his bowling skills at a higher level which helped him land in the IPL. Personally, he feels it was TNPL who pushed him a lot. “It seems unreal. I never thought I would play in the Tamil Nadu Premier League, let alone the IPL. Very thankful that it has happened,” he said while speaking to the news agency PTI. 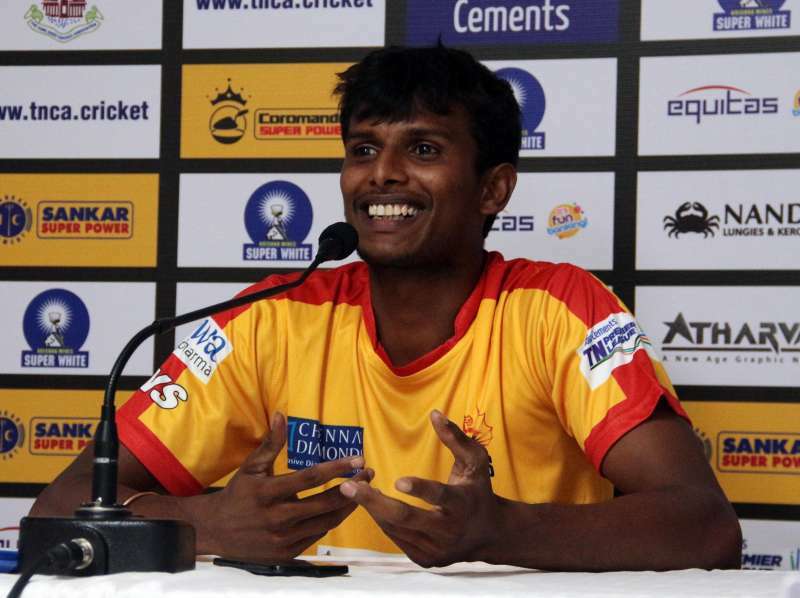 “I was under extreme pressure when I was picked for TNPL. But I am thankful to people like Ashwin, Vijay and L Balaji (TN bowling coach) who believed in me. Earlier, I dreamt of playing Ranji Trophy which has been fulfilled and now I look forward to playing IPL, meeting people there and learning from them,” he added. In 2015-16, Natarajan was selected for the Ranji Trophy after his consistent performance at the club levels. He is also known as ‘Mustafizur Rahman’ of Tamil Nadu as he has excelled at landing yorkers at will while his variations are just superb. Natarajan will be a part of Preity Zinta-owned Kings XI Punjab where he will be sharing the dressing room with the renowned players like Eoin Morgan, Murali Vijay, Martin Guptill, Darren Sammy, David Miller, Glenn Maxwell etc. But somewhere he feels unfortunate that he won’t be able to spare time with his favourite Mitchell Johnson who is not with the franchise anymore. “Johnson is my role model and it will be great if I can meet him during the IPL,” he said about the former Aussie pacer, who has been bought by Mumbai Indians for this season. Moreover, this young chap has ‘Viru – the great’ as the team mentor where he has a vast scope of learning to enrich his future and performance.